TICKETS FOR THE 2019 E MALAMA AINA KAKOU EVENT ARE NOT YET AVAILABLE. PLEASE TRY AGAIN IN MAY 2019. 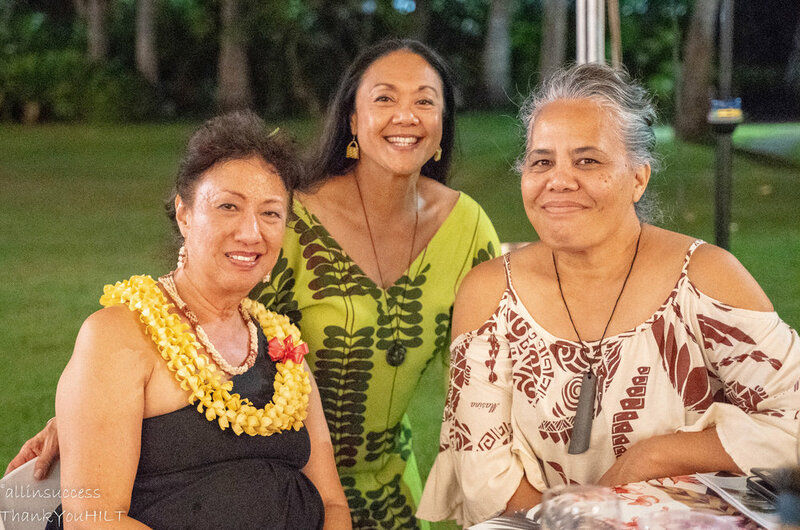 E Malama Aina Kakou brings together supporters for an island-style paina under the stars at the gorgeous grounds at Lanikuhonua. Guests will be treated to ono fare provided by the excellent chefs of Monkeypod Kitchen by Merriman, complimentary cocktails, an exciting auction, and live entertainment. 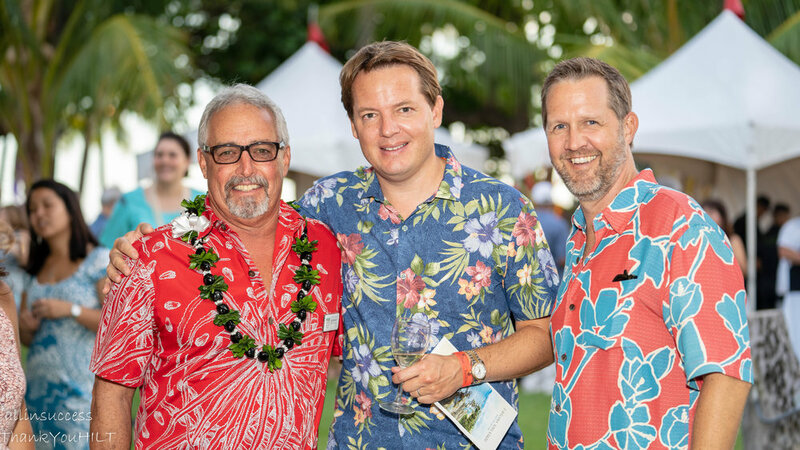 This benefit provides operational support for the Hawaiian Islands Land Trust’s efforts to protect coastal lands, historical and cultural landscapes, and working farms and ranches across Hawaii. If you cannot attend but would like to make a tax-deductible donation to the Hawaiian Islands Land Trust to ensure the ongoing conservation of the lands that sustain us, please click here. Click here for a list of sponsor benefits. Our 2019 event will feature one of Honolulu’s most exclusive live auctions. 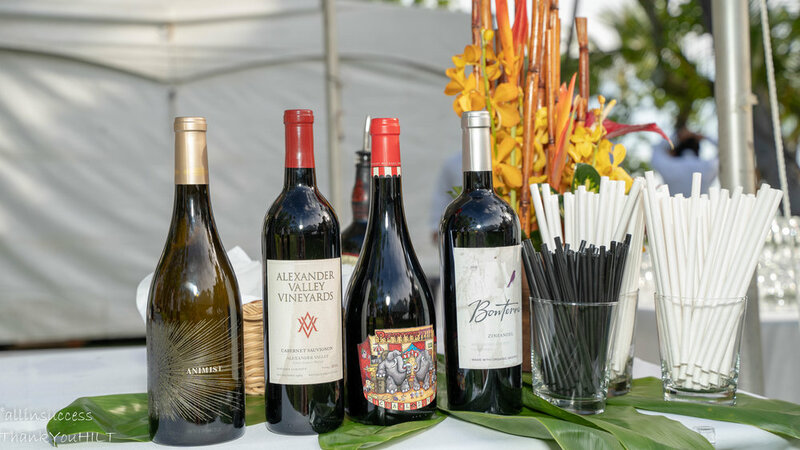 Guests will also have the opportunity to bid on or purchase wine from a carefully curated selection of wines from the sommeliers at R. Field Wine Company. Wine will be sold on a first-come-first-serve basis at the BUY NOW pricing until September 20th by email. Wine not sold before the event will be available to buy or bid in person. Each year, HILT honors an organization or individual who has made a substantial impact in land conservation and sustainability in Hawaii. Our 2019 Kahu o Ka Aina will be announced shortly. 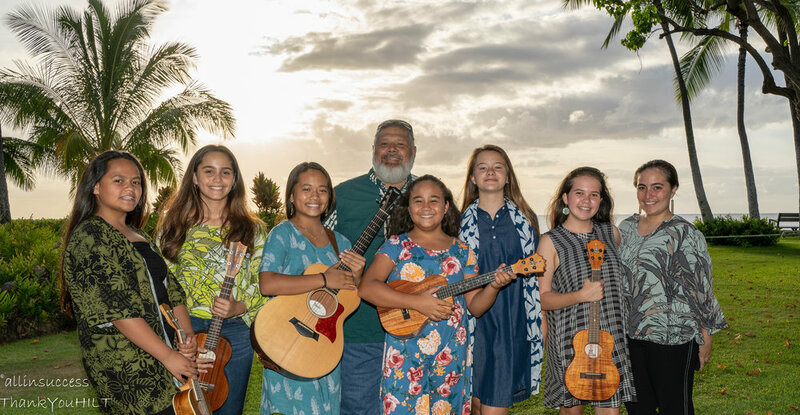 Learn about our 2018 Kahuo ka Aina below. Hawaiian Islands Land Trust Honors Peter Merriman for his dedication to conservation and sustainability. 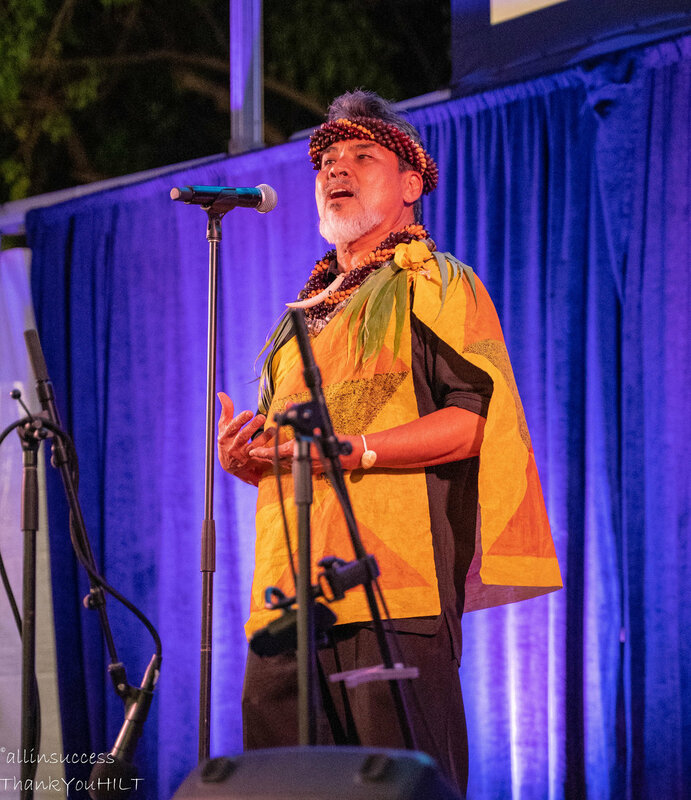 HILT is honoring Peter Merriman as the 2018 Kahu o ka Aina at the 4th annual E Malama Aina Kakou on September 22, 2018. Each year, HILT selects a person, group or organization that has contributed significantly to land conservation in Hawaii. Peter has demonstrated a long-standing commitment to Hawaii’s environment, sustainability, and local farmers, ranchers, and fishermen. When he first arrived as a chef on Hawaii Island, he saw an opportunity to create a regional cuisine based on locally sourced ingredients with menus designed to support Hawaii’s economy. He is known as Hawaii’s original “locavore” and considered the culinary pioneer of Hawaii Regional Cuisine. Today, at least 90% Merriman’s restaurant products are locally grown or caught, using sustainable methods. He has been a vocal champion of Hawaii’s farms and ranches for more than 30 years. Immersed in Hawaii Island’s farming community, Merriman’s opened his first restaurant in Waimea, where he built strong relationships with local producers, leading the charge in Hawaii’s farm-to-table, boat-to-table, and ranch-to-table culinary movement. 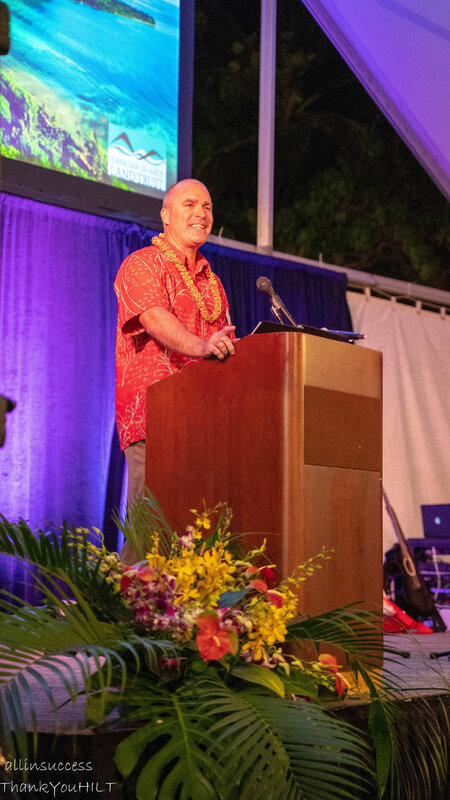 “We are proud to honor Peter Merriman this year for his visionary leadership in our community and his commitment to Hawaii’s sustainability, our environment, and our local food producers,” said Kawika Burgess, HILT’s CEO. Over the years, Merriman’s focus on sustainable sourcing and land conservation has grown even more acute, as he has recognized the need to protect the ocean and the aina for future generations. His enterprise has developed into a series of highly respected statewide restaurant brands. Merriman’s Restaurants, celebrating a 30th anniversary this year, showcase the freshest island grown and harvested foods, and his cuisine reflects the myriad flavors of Hawaii’s multiculturalism. 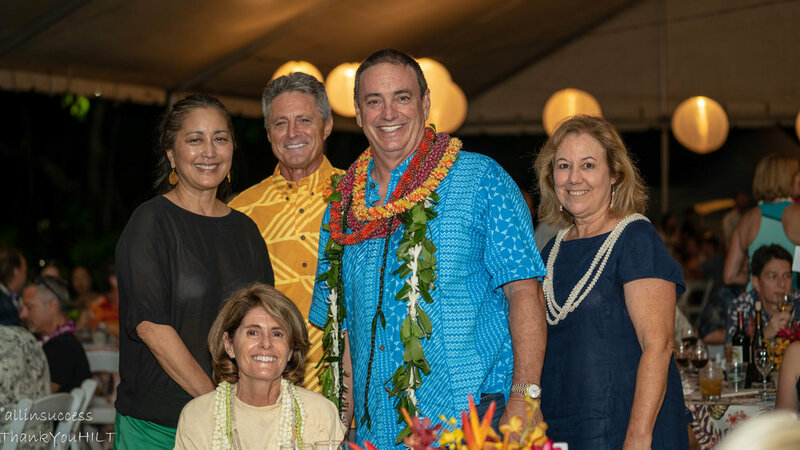 Peter Merriman and his wife Victorine, along with HILT’s many supporters, have enabled the organization to deliver an incredible amount of conservation success, protecting more than 18,000 acres across Hawaii. Support for the 2018 E Malama Aina Kakou benefit will enable HILT to deliver even more vital conservation work in Hawaii. Peter and Victorine are founding members of HILT. They belong to a visionary group of donors who each made generous multi-year financial commitments to the statewide land trust at its inception in 2011. Since then, Merriman’s restaurants have generously supported the charity’s annual benefit gala by providing the food for the event’s sumptuous dinner. 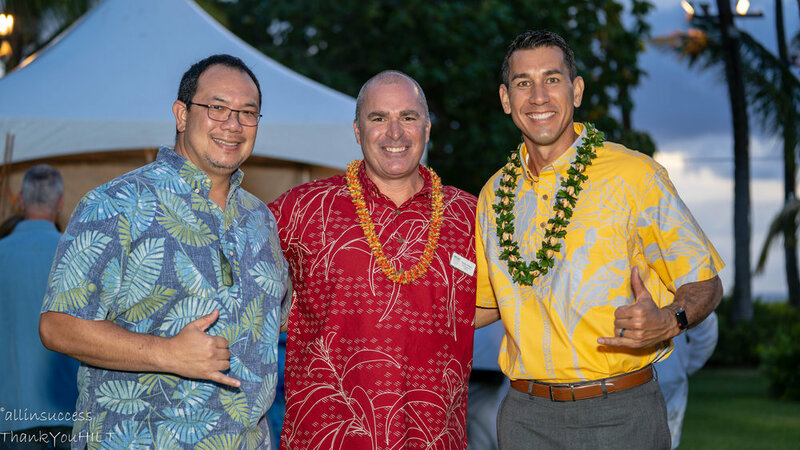 Merriman has also served as a volunteer board member for HILT from 2011 to 2018, devoting his energy to the mission of protecting the lands that sustain Hawaii’s people for current and future generations.